Conveniently located just north of Raleigh/Durham and just a few miles off I85- Where the free spirit meets the North Carolina country side. A drive through downtown Oxford is a sweet touch to offer your guests as they drive through a piece of old Americana. 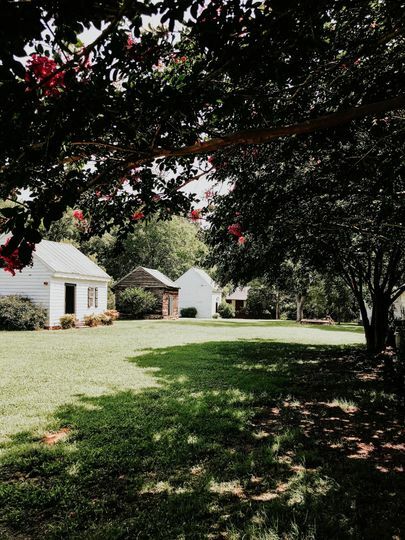 Located just three short miles from downtown Oxford sits our family farm. Our farm boasts of 14 acres of serene natural beauty. 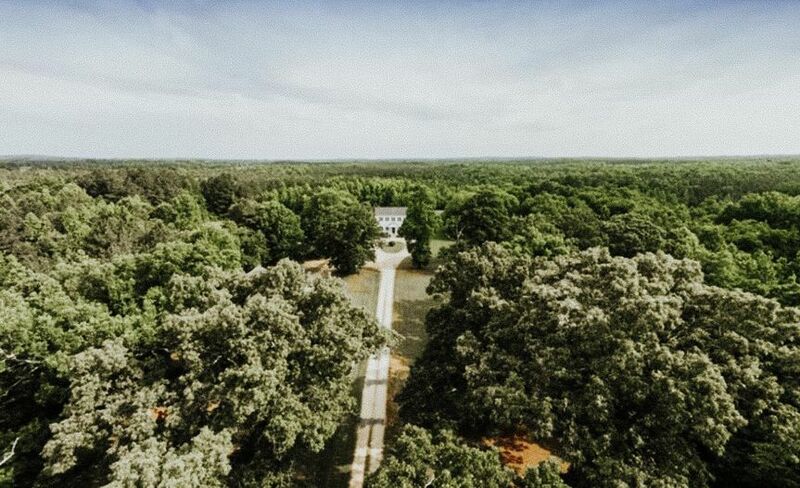 Large hundred year old oaks, bright pink Crepe Myrtles, wild flowers and rolling hills are just a few things you and your guests will discover while enjoying our property. 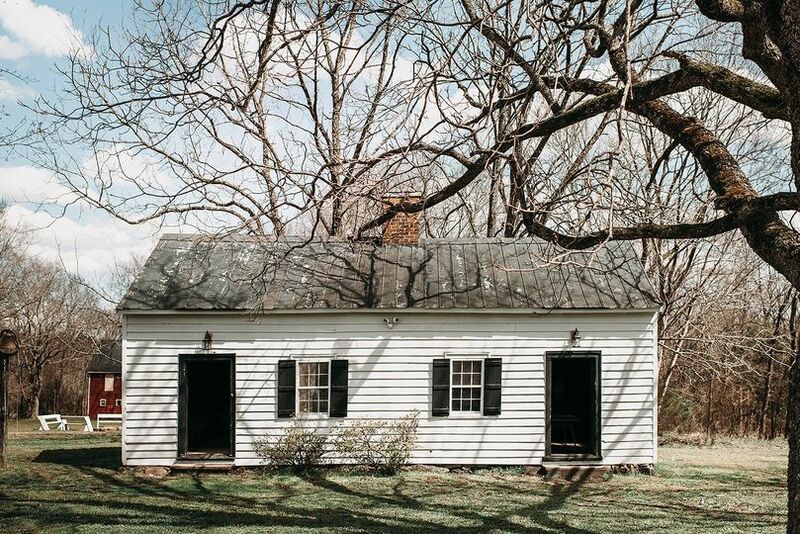 Originally a 600 acre tobacco farm, our 14 acre family farm showcases all original buildings built from the 1800’s era each with their own intentions and renovations. While still keeping it’s original rustic charm, our buildings have been updated with modern conveniences for a more enjoyable experience. We currently offer three different sites for your ceremony, two different sites for your reception, a bridal cottage and a groom’s cabin. We pride ourselves on our free spirit bohemian style but all while having the option to customize for a classic formal setting as well. We can help you design the look of your dreams. We have curated special packages with some local vendors that we love so we can make your day as easy as possible! Of course, if you have vendors you love too, they are most welcomed! 1- The Wedding Tree- Located underneath the largest Oak tree on our farm. 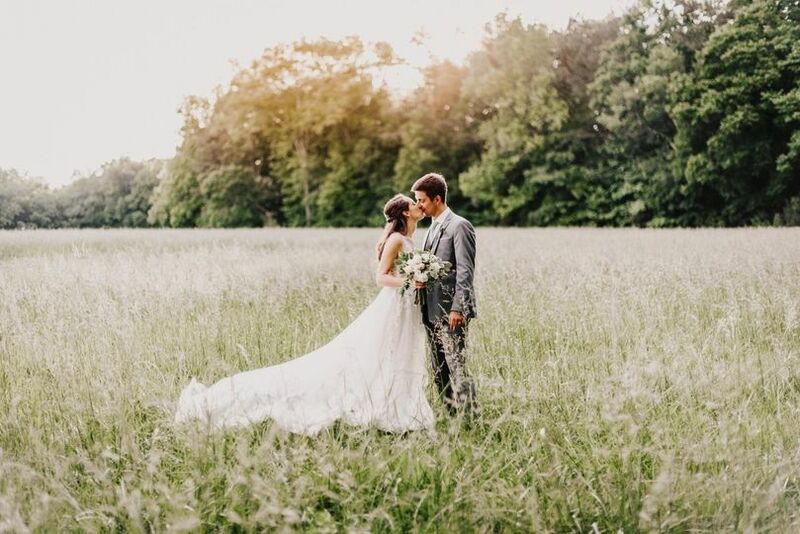 During the golden hour the sun sets directly behind allowing for warm golden rays to shine through all the limbs casting a golden hue over your entire wedding ceremony. 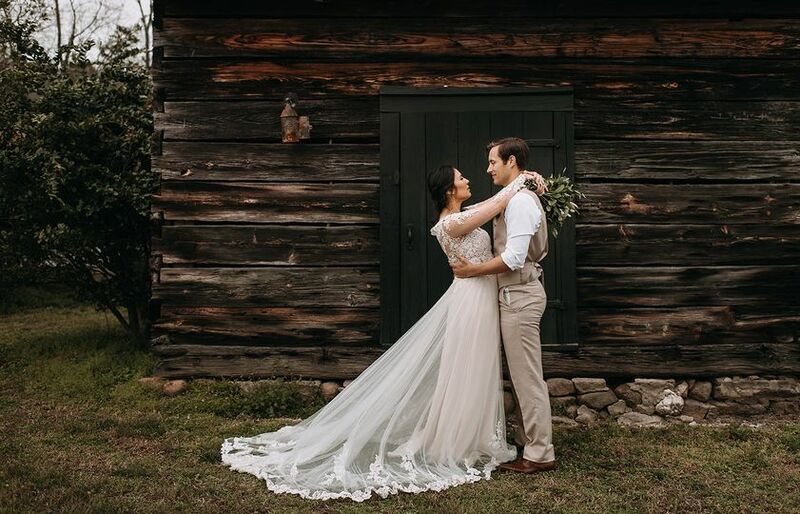 2-The Chapel at The Oaks- Our intimate rustic indoor option is available for our brides who want the feeling of walking the aisle in a chapel while still feeling like they are somewhere magical. 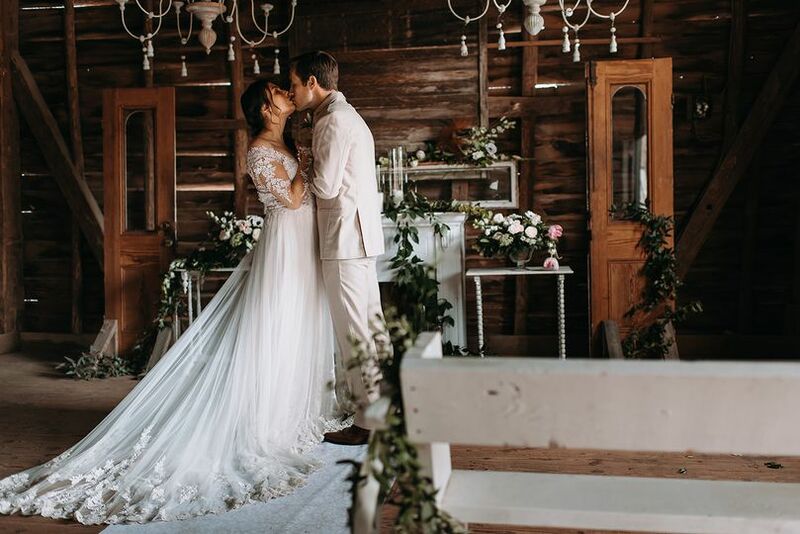 All original wood, rafters and flooring makes this option a genuine once in a lifetime experience to say ‘I do’ inside of a beautiful piece of history. Chapel fits 100. 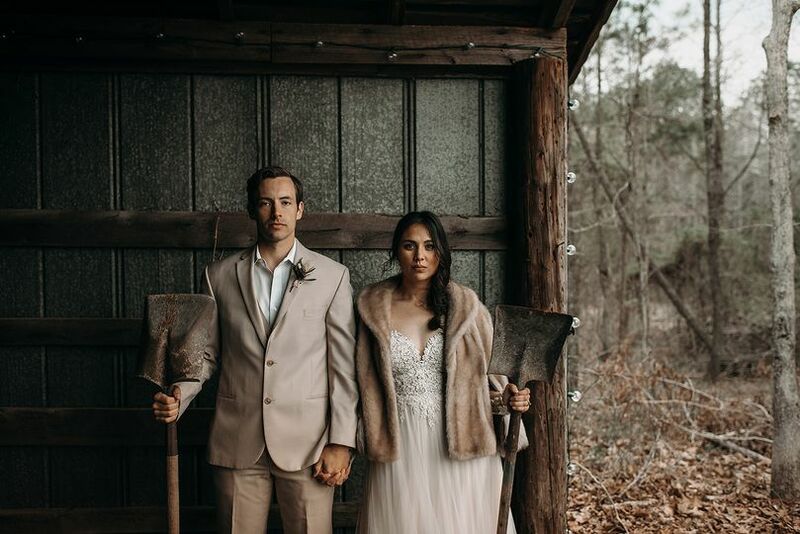 3- The Forrest- The most rustic of all of our options but is perfect for the outdoors lover and a bride and groom who wants a whimsical romantic setting under the pines. A small walk back to the forrest and you experience an area that can seat 75 and a beautiful rustic alter to say ‘I do”. This ceremony location is seasonal. Please inquire for the available months. 2- The Chapel at The Oaks- Our intimate rustic chapel can easily be flipped into an indoor/outdoor reception area. 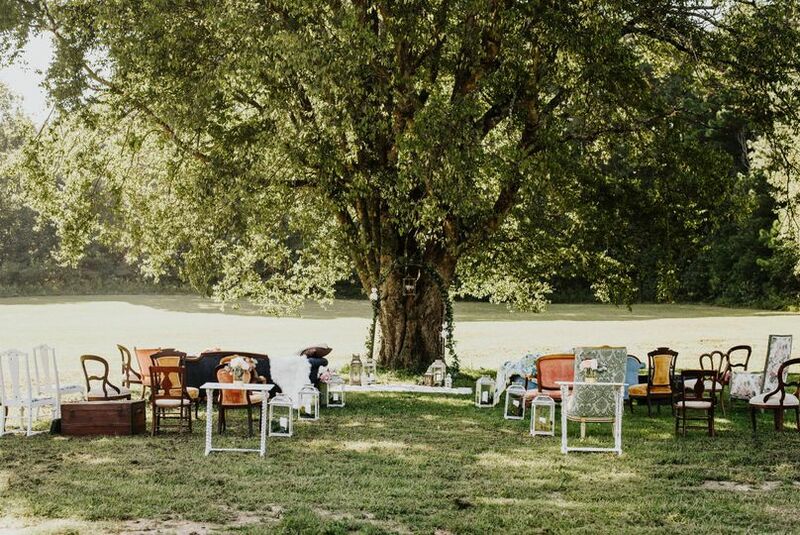 Located directly behind the chapel is family style seating with farm tables seating 50. The options are available for a completely customizable indoor/outdoor reception for small or large parties. A sweet cottage that provides an intimate and quaint experience for you and your party to get ready. Three beautifully laid out hair and makeup vanities, areas to lounge and of course, a complimentary toast of bubbly upon arrival. 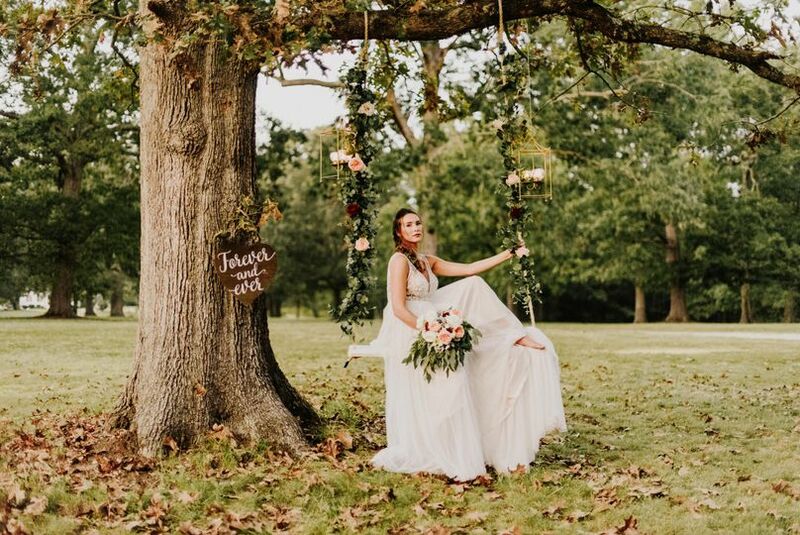 We cant imagine a better place to get ready before you walk down the aisle! The Groom’s cabin has the all the necessities for all the gentleman! The rustic cabin proudly offers a lounge room with television and a bar, a game room and a back porch overlooking the remaining acres of our farm. And of course, a complimentary brew upon arrival. Private Airbnb rental coming 2019: sleeps 20 in downtown Oxford inside of an old victorian style home. Perfect for your party to stay in for the weekend! 3 hours of face to face creating a decor setup design with our owner/decorator. Hourly rate thereafter if needed. With over 10+ years in the wedding indsutry, we love to be apart of such a spceial day! We have traded in the city life for a more slower pace of life here on our family farm with our two small children. 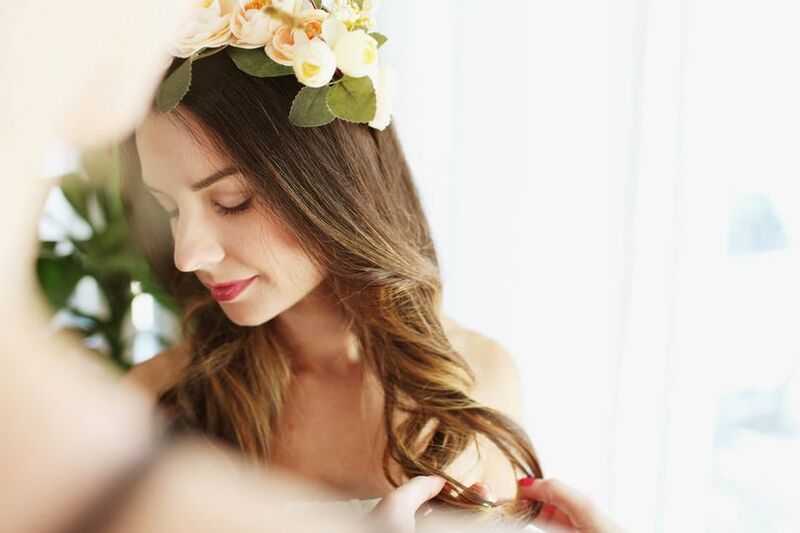 We also own and operate The Bardot, a bridal beauty service specializing in all things wedding! Discounts are available for booking both services. Inquire for options. Thank you and we hope to spend your special day with you! 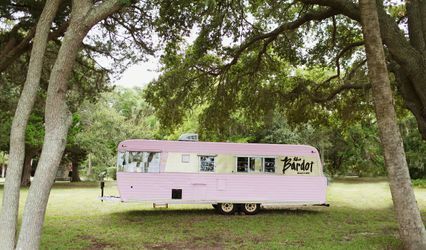 Recieve free rental of The Bardot Beauty Bus ($350 value) when booking both The Oaks at Oxford for your wedding and The Bardot for your beauty services. Subject to availabilty.